Last minute guests? 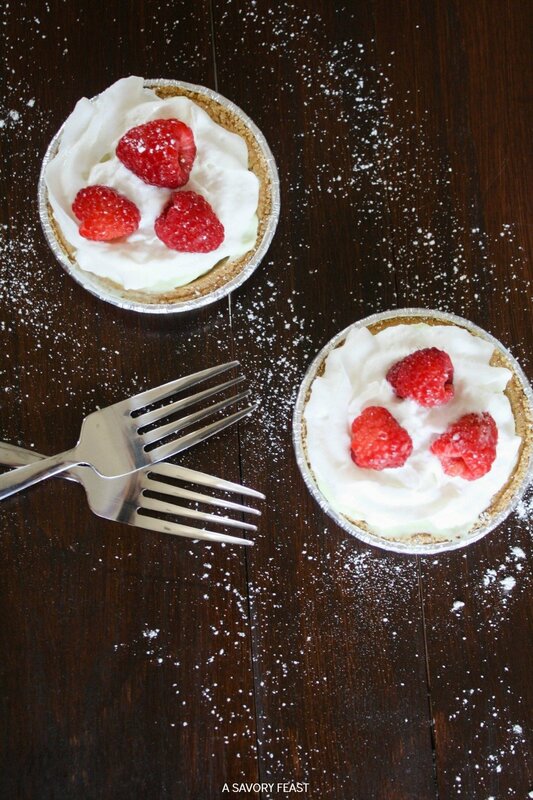 These Raspberry Lime Mini Pies are easy to whip up with just 5 ingredients. No baking required! Are you ready for the easiest dessert you will ever throw together? It may be simple, but it’s still a pretty treat that will impress your guests! They will definitely think you spent a lot longer making these mini pies. 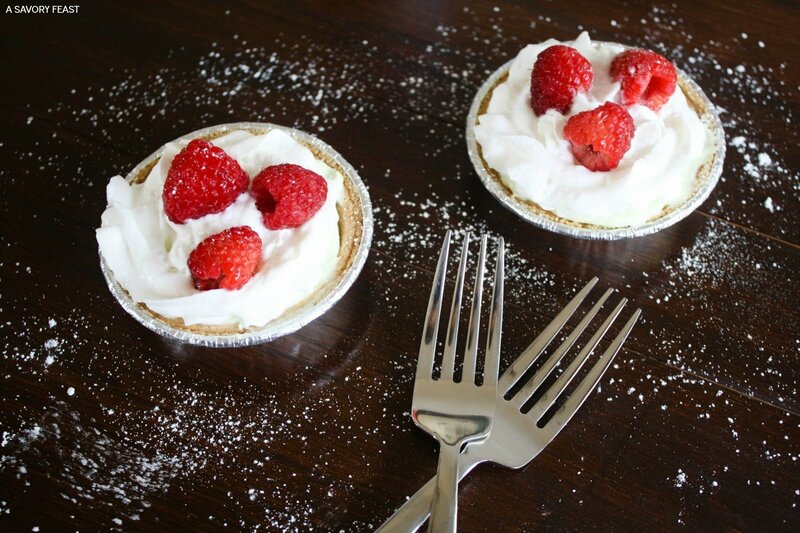 For these mini pies, you’ll need 5 simple ingredients: Keebler® Ready Crust® Mini Graham Cracker Pie Crusts, Dannon® Oikos® Key Lime Greek Yogurt, Reddi-wip®, fresh raspberries and powdered sugar. Assembling these pies couldn’t be easier, and clean up is a breeze! You won’t have any mixing bowls to clean. Perfect for a last minute dessert! 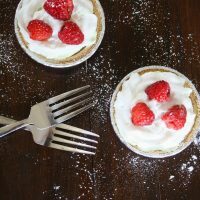 Now that I’ve discovered these Keebler® Ready Crust® Mini Graham Cracker Pie Crusts, I plan to keep them in the house for making a quick dessert when I’m craving something sweet or when I have unexpected company. Want more #EffortlessPies ideas? 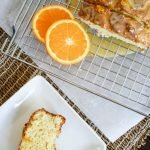 Check out all these recipes! Or get creative and combine some ingredients you already have in the house. Open the pie crusts and divide the yogurt into each crust. You will need 1 yogurt to fill 2 pies. Top the yogurt with Reddi-wip®. 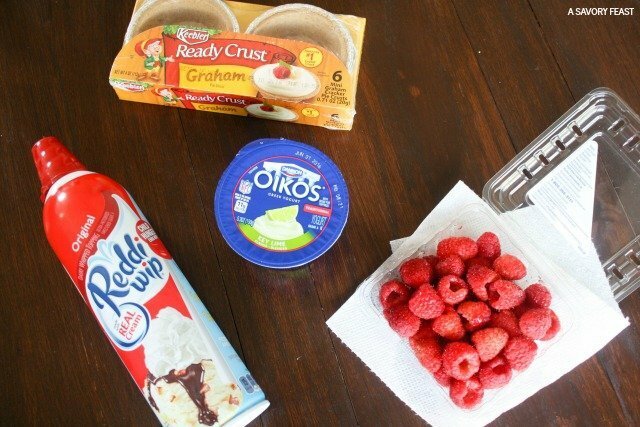 Add a few raspberries on top of the Reddi-wip®. Sprinkle the raspberries with powdered sugar using a mesh strainer. 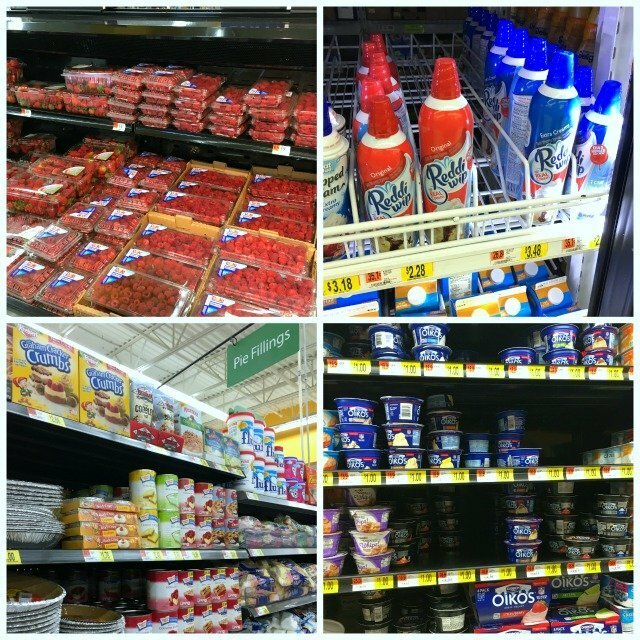 You can grab all the ingredients you need at your local Walmart. If you use Ibotta, be sure to check out this deal to save! Do you have an #EffortlessPies idea? Share it with me in the comments! And oh so easy, too! I need to keep everything in the house so I can make this in a pinch! Raspberry and lime are such a delicious combo! It turned out so good in this recipe. Oh wow, when you said easy, you meant it! It doesn’t get any easier than this. YUM!! That’s right! 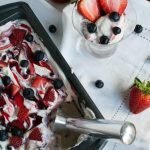 You know I love baking from scratch, but sometimes you need an easy dessert that can be whipped up in minutes. This really is easy! It might not be very sophisticated, but I love just about anything if it’s topped with Reddi-wip. Yum! Reddi-wip is something I ALWAYS have in the house! It’s perfect for topping just about anything. 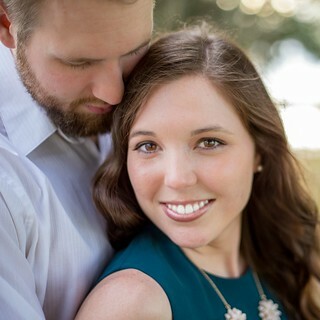 These are adorable and couldn’t be easier! I will definitely be adding this idea to my summer hosting plans. These are perfect for entertaining! Especially when you need more time to prep the rest of your food. These are so dang cute! I can definitely picture me eating… all of them… haha. I crave lime so I might have to make some of these! These are so small and cute, it’s hard to just eat one! I love “ready-made” crusts for pies! – I will have to pick some of these up and throw chocolate pudding in them. YUM! Ready-made crusts are the best! They definitely make a last minute dessert way easier. These are so cute and sound delicious! Thanks for sharing at What’d You Do This Weekend?! 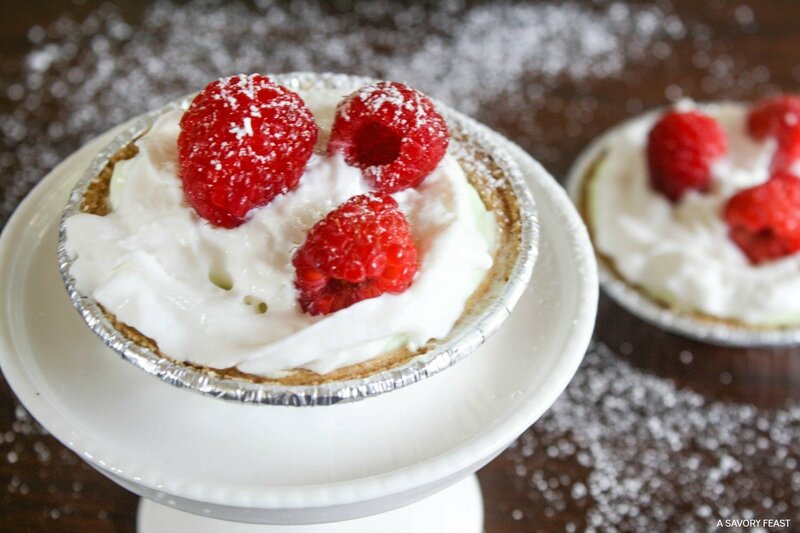 What great little Raspberry Lime Mini Pies! Thanks so much for sharing them with us at Full Plate Thursday and come back soon! What a fabulous idea, Jenna! 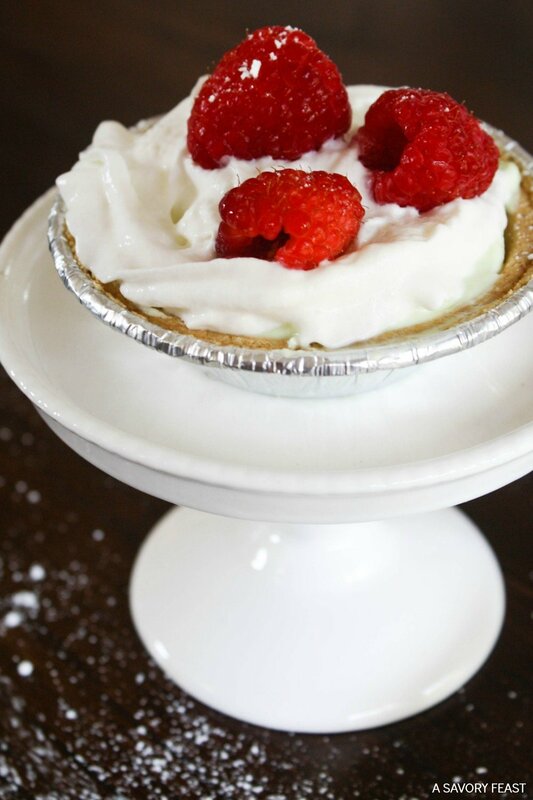 I’ve used those mini pie crusts in the past, though I’ve never made a little lime raspberry mini pie like this. 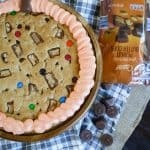 Clearly, I need to get my hands on some and make these because YUM! I love how easy they are to throw together, and I bet they’re equally easy to eat! I’ve decided to start keeping these mini pie crusts in the house. 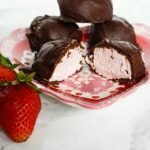 They are perfect for quick desserts! You could fill them with any flavor of yogurt, pudding or even ice cream!